Will Knight is a freelance designer and illustrator, whose rich experience ranges from product development of new telecoms devices to character design and storyboarding for animation. His clients include global brands, leading advertising and media agencies, design consultancies, animation and film studios. 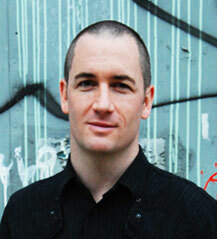 Will is also the founder of brew collective, a London - and New York - based freelance organisation for creatives. To see Will’s work please visit willknight.com.